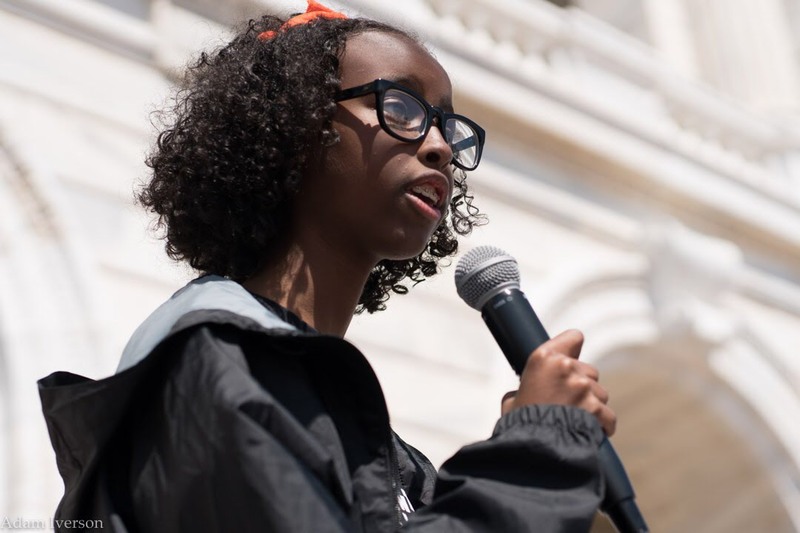 Youth Climate Strike US co-leader Isra Hirsi. © Adam Iverson | Photo from Greenpeace International. Isra Hirsi just turned 16 years old. To celebrate, she came home from school and spent three hours on conference calls. 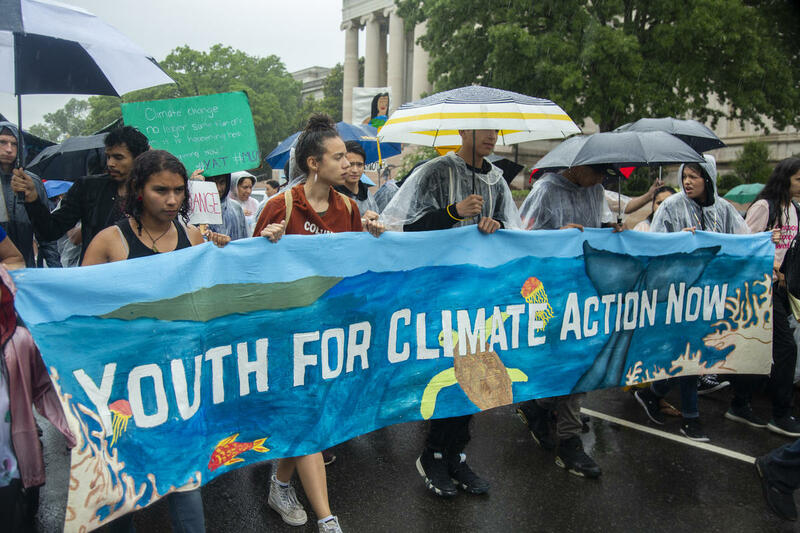 Isra, a student at South High School in Minneapolis, is one of thousands of students around the world planning a massive Youth Climate Strike for March 15. With a few weeks to go, there are already strikes planned for 47 countries and almost all 50 states. Isra is one of three organizers who are bringing the movement — inspired by Swedish activist Greta Thunberg’s weekly climate strikes — to the United States. I caught up with Isra to talk about her work as a student organizer and why she’s done waiting for adults to save her generation from the climate crisis. You’re not exactly new at this. How did you get started in organizing? Well, I’ve been going to protests since I was in first grade. But I started getting more involved in my freshman year of high school, so last year. I joined my school’s “green team” and from there I started organizing on my own. I joined a coalition of youth organizations called MN Can’t Wait, which is a whole bunch of Minnesota youth organizations, and that’s how I’ve been involved in climate activism. 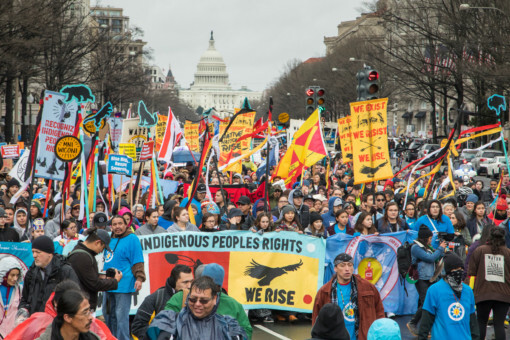 Was there a moment when you realized that environmental activism was something you wanted to be a part of? The crisis in Flint, Michigan in 2014 flipped the switch for me. I remember being in middle school seeing on TV that kids were getting lead poisoning not that far away from me, in communities that looked like mine. I just thought it was horrible. Now here we have the Line 3 pipeline, and I’ve been doing a lot of Line 3 work. All of these things are happening right around me so I know I can do something about it. How did you get involved in the student strike movement? Now there’s Haven from Denver, Alexandria Villasenor from New York City, and me co-leading the national strike. guess who announced the first statewide green new deal?! we did! What do your teachers and your parents think about you striking? My teachers don’t actually know. I don’t talk to them much about activism. They probably have no clue what I do, just that I miss school a lot. My parents are pretty supportive, they just wish I didn’t spend so much time on calls. From Greta to your co-organizers here in the US, this is a movement led almost entirely by young women. What does that mean to you? It’s kind of random! I didn’t even recognize it happening until I saw a Buzzfeed articleabout it and I thought about how weird it was that we hadn’t noticed. But it really is mostly young women. In a sense, it makes what we’re doing more powerful. We have so many women leading, which isn’t “supposed” to happen, and we have all these women of color working together and I think it’s super cool. Multiple studies have shown that young people, on average, care more about climate change than older generations. Why do you think that is? I’ve lived with climate change my entire life. People older than me haven’t. We see things happening around the world and we’ve gotten so accustomed to it, but we know we don’t want to live like that anymore. We have that much more of a sense of urgency and we recognize the need to do something as soon as possible. This movement is completely led by young people. We are here and we’re never going to back down. This one strike is not the endgame. We’re not going to shut up. Adults — if you feel uncomfortable now, you’re going to feel uncomfortable for a while. Speaking of adults, what are they getting wrong about the student strike movement? Oh my god. Striking does not mean we’re skipping school for leisure! I’m not, like, skipping school and going shopping. The reason we’re skipping school is to ask for drastic change. I’ve heard some adults say that walkouts or school strikes are only a way for students to get out of class and be truants. But in all honesty, we’re out here trying to make real change. We’re risking our education so that we can see real change. You basically have a full time job organizing this strike on top of being a high school student. What does that make life like for you? Um, really really stressful! Every day I come home from school and check my calendar and there are like, four calls lined up for the night. Our Youth Climate Strike US email account gets like, 40 emails a day. I’m in something like seven Slack groups and responding to texts all day. I don’t really have a social life; my social life is the eight hours that I’m in school. I guess knowing that people are actually listening to me, even if it’s not politicians yet, is what makes it worth it. Young people are getting fired up and getting organized. What would you say to other teens who want to get involved in climate activism but don’t know where to start? The climate strikes are a great way to start! You could also join your school’s green team, or if your school doesn’t have one, start one. For me the green team has been a really cool way to get involved with school, and from there my city and my state. That’s how I got started with climate activism. Last question. Let’s say you’ve got 15 minutes alone in a room with the next president of the United States. What are you going to ask them to do on day one in office? One, be a champion of the actual Green New Deal. Do something to make that real. 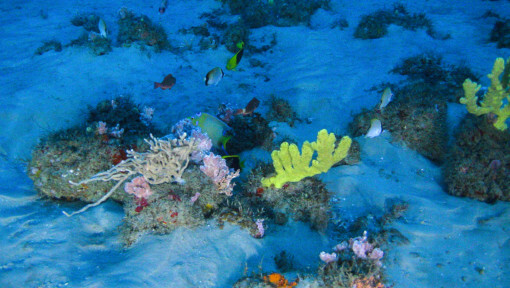 Two, start focusing on solutions that can put us back on track to stopping climate change. We need someone who is going to do something. I want the next president to not just recognize that climate change is real, but also speak to people in Congress about how we can change everything we’ve been doing on climate change. We can’t have a president who just says they support the Green New Deal without explaining what that means — because it’s only a resolution right now — and we can’t just let them saythey care about climate change and then move on. They have to consistently focus on doing things to fix the problem. 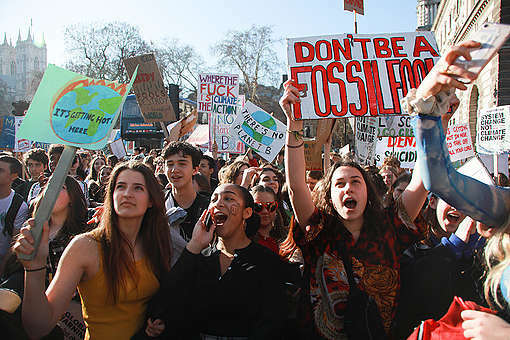 Are you a student inspired by the Youth Climate Strike movement or an adult who wants to support? Get involved in the US strikes here or in your country here.